Espresso and Cream has been pretty light on the recipes lately, and I think it’s time to remedy that! I’ve been doing a bit more baking and experimenting with quinoa flour over the past couple months. Initially, I thought it was a difficult flour to work with. It has a slightly stronger, nuttier taste than whole wheat flour, and it doesn’t contain gluten, so it typically needs to be cut with another type of flour. But once I started working with it a little more, I grew to love the flavor of quinoa flour when mixed with a little all-purpose or white whole wheat flour. 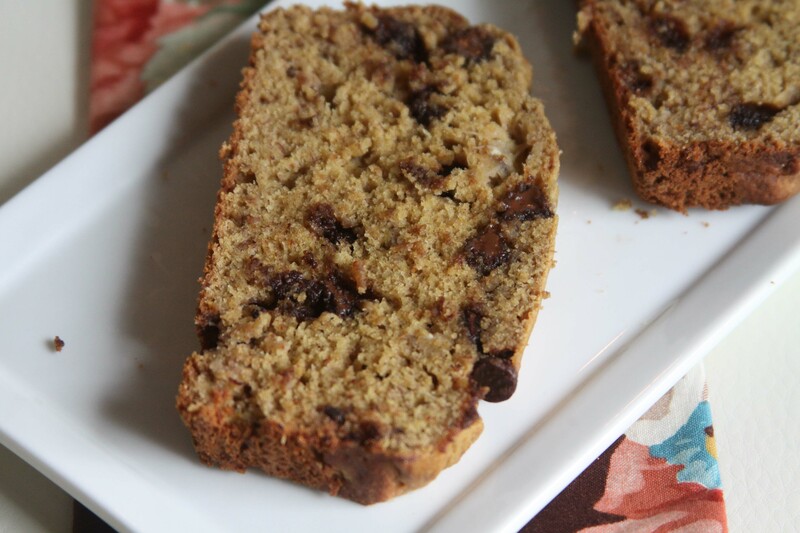 I also love that it is higher in protein that tradition flours, which makes it a great addition to quick breads and other treats you want to make a little healthier, like banana bread. One measure I use to judge the quality of a banana bread recipe is it’s “aging potential.” In my opinion, a really good banana bread tastes better as the days go by. Somewhere between the second and third day after baking it, the bread truly tastes the best. After taking this bread with us to Minneapolis last weekend and eating it throughout the days we were there, I can assure you that the aging potential is spot-on. *Preheat oven to 350°F. Lightly grease and flour a loaf pan. Set aside. *In a large bowl, combine the bananas, butter, egg, and sugar. Beat until well combined. Add in the milk, baking soda, salt and cinnamon and beat until combined. *In a small bowl, combine the white whole wheat flour and quinoa flour. Add the flour to the wet ingredients and beat until just combined. Do not over beat. Stir in the chocolate chips. *Pour batter into the prepared loaf pan. Bake for 40 to 45 minutes or until lightly browned and a stick inserted in the center comes out nearly clean. Cool on wire rack. Welcome to the new Espresso and Cream! This looks delicious! I love banana bread but always struggle to incorporate healthy items like whole wheat flour, etc. thanks for testing and sharing! Will make this soon! I was just looking at my bananas on my counter and thinking I needed to make some bread this weekend…. might have to try this recipe! Have you tried making banana “ice cream” (in which you dump frozen bananas in the food processor– with any desired toppings: peanut butter and chocolate chips?) and voila, healthy “soft serve”! Banana bread is amazing. I froze a bunch of bananas and wonder if they would be just as good (once defrosted, of course) for making bread. 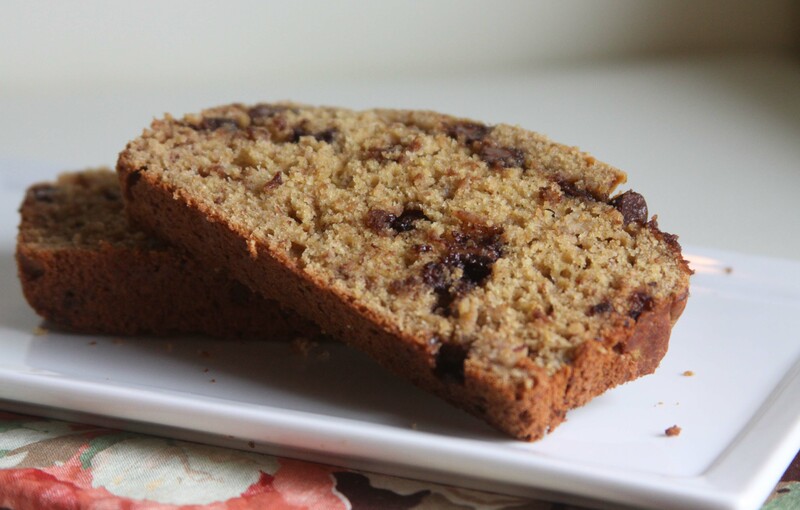 I love the idea of extra protein from the quinoa flour and this banana bread looks fantastic! this is in my oven now- can’t wait for desert!